We help British Columbia drivers get car loans -- even if they have bad credit or no credit at all. Just provide us with some basic information (no social insurance number needed), and we’ll match you up with a lender or dealer in your area. Our auto loan rates in British Columbia are market-competitive. What are your requirements to qualify for a car loan? To get a car loan through our site you must be 18 years old, make at least $1,500 per month, be employed, have a driver’s licence, and be a Canadian resident. How much tax will I have to pay when I buy a used car in BC? If you’re buying your vehicle from a dealer, you’ll have to pay the federal Goods and Services Tax (GST) and the Provincial Sales Tax (PST). The GST is charged at a rate of 5%, while the PST is charged at a rate of 7% for vehicles under $55,000. For dealer-purchased vehicles that cost more than $55,000, the PST rises by 1 percentage point for every thousand dollars over that amount, up to a maximum of 10%. Vehicles sold privately are exempted from the GST, however the PST is payable at a rate of 12%. I just moved to BC from another country, and I don’t have a Canadian credit history. Can I still get a car loan? Yes. Our dealer network specializes in providing auto financing to Canadians with bad credit or no credit. Even if you’re new to Canada, LowestRates.ca can match you with a lender that will get you on the road. Is now a good time to buy a car in BC? Many British Columbians seem to think so — new car sales increased by 6.6% in the province from February 2015 to February 2016, according to Statistics Canada. Used car sales are also rising. An improving employment picture and historically low interest rates should help propel vehicle sales in BC for the remainder of the year. How does the length of my car loan affect my monthly payment? 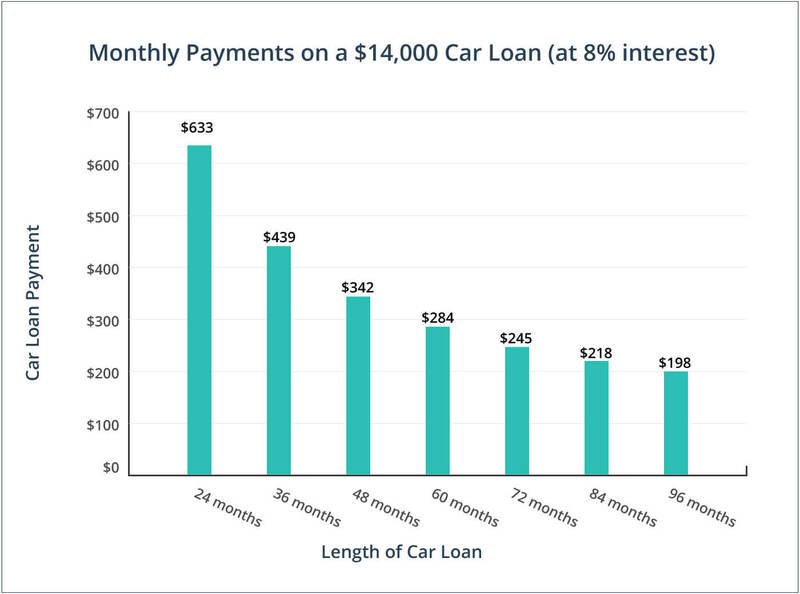 Longer loans translate into lower monthly payments, but you’ll spend more money on interest than you would on a shorter loan. In general, BC drivers should try to keep their car loans as short as possible to avoid extra interest charges. How are auto financing rates set in BC? The interest rates on your car loan are based on a variety of factors, including your credit, your income, and the amount of financing you need. Licensed dealers are regulated by the Vehicle Sales Authority of British Columbia. That means they have to follow a set of rules designed to protect you, the consumer. Research the vehicles you’re interested in before you commit to buying one. Survey the reviews and safety ratings available online to understand which vehicle is the best option. The Vehicle Sales Authority of British Columbia shares helpful car-buying tips in English, Mandarin, Cantonese, and Punjabi. Secure your auto loan before you start searching for a car to buy. That way you’ll be able to set a budget and shop for an appropriately-priced vehicle. Used car buyers should avoid dealerships. False. As a consumer, you’re only entitled to the protections provided by the Vehicle Sales Authority of British Columbia if you buy your car through a licensed dealer. Car prices in British Columbia include all fees and surcharges. False. A dealer can add extra fees and surcharges to a vehicle’s price, but they must properly identify and explain those charges to the buyer prior to sale. There’s no way to know if a used car has been previously damaged in BC. False. You can ask the dealer for a vehicle history report or obtain one from the ICBC. BC has a ‘lemon law’ which allows buyers to return faulty vehicles for up to 60 days. False. Under BC law, all vehicle sales are final. You need a FICO score above 670 to qualify for vehicle financing. False. A 2014 study by the Bank of Canada found that 25% of all auto loans were non-prime (borrowers with FICO scores under 670). Non-prime borrowers generally have to pay a higher interest rate than prime borrowers. BC drivers continue to pay off their car loans. Credit agency TransUnion says BC has one of the lowest auto loan delinquency rates in Canada at just 1.41%. Vehicles unable to pass a safety inspection can be sold ‘as is’ by used car dealers. BC dealers must inform the buyer that the vehicle is not suitable for transportation. The vehicle must also be towed off the lot. The Vehicle Sale Authority recommends that you test drive a used car for at least 30 minutes, at various speeds, and on different types of roads. A report from J.D. Power and Associates found that consumers spend an average of 17 hours researching vehicles before they buy. Dealers in British Columbia must disclose if a vehicle has ever been used as a lease, rental, taxi, or emergency vehicle.